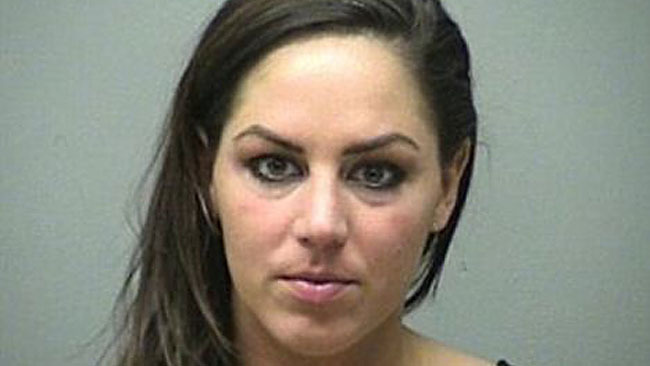 Former Miss New Hampshire USA 2010, Nicole Houde was arrested by the police after she reportedly punched, bit and scratched her boyfriend 33 year old Scott Nickerson during thier argument. The former beauty queen, now at 26 fight began when Nickerson accused her of having an affair, and he took her cell phone and refused to return it. CBS Boston reports that his refusal to give her phone back prompted the violent outburst, and she was later arrested for simple assault. Nicole is currently working as a personal trainer as well as beauty pageant consultant and has received make up consultation certification. "I learned so much from my experience and I enjoyed doing everything that I did so why not expand that into my career and do what I love?!" she writes on her website. That experience now includes doing make up work for high schoolers heading to prom and brides heading down the aisle. "I look forward to helping others better themselves and reach for their goals because a lot of times life gets in the way, we get distracted and just need a little extra boost and help to get things on the right track." Houde is just the one of latest Miss USA candidate to run into legal trouble, as the woman who beat Houde in 2010 pleaded no contest last month to drunken driving.